Could more than a million species disappear in the 21st century? 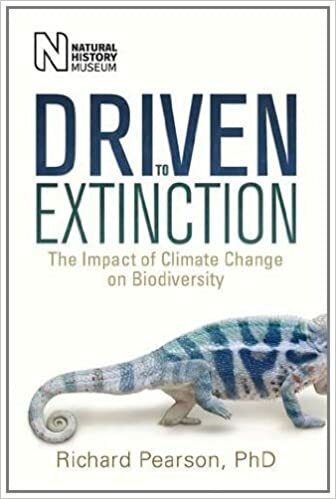 Drawing upon a wide range of illuminating case studies from around the world, Driven to Extinction provides a balanced and highly readable insight into the potential impacts of climate change on the diversity of life. Richard Pearson meticulously assembles the evidence of how species of plants and animals have reacted to temperature changes in the past, and how they are likely to respond in the future. He shows how different species are interconnected, how subtle yet essential those connections can be, and how severing one link in the complex chain of mutual cooperation and dependency can lead to the breakdown of a once-thriving community and, ultimately, extinction. At the same time, he also explores how climate change can offer some species new opportunities even as it narrows prospects for others, highlighting the adaptability and survival techniques of some of the weirdest and most wonderful creatures on the planet. Exposing successes and flaws in current research, Driven to Extinction is an engaging and unbiased overview of what scientists know - and don't know - about the impacts of climate change.